Many homeowners invest in a water filtration unit to effectively remove all traces of residual chlorine from household water. For decades, municipalities have been adding chlorine – a harmless, effective, simple-to-use, and inexpensive disinfectant – to public water supplies in order to make the water safe for drinking. No one can deny that chlorine serves an important public health purpose. 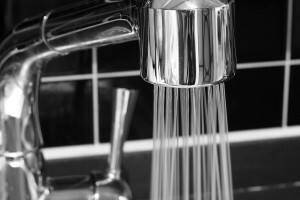 However, despite its value in eliminating waterborne bacteria and disease-causing pathogens, chlorine can also cause some problems for homeowners. Once water that has been thoroughly disinfected with chlorine reaches a home, the chlorine additives are no longer necessary. Nevertheless, they often remain in the water and, while they provide no benefits beyond that point, they can create unpleasant flavors and odors. Lingering chlorine can affect the taste and smell of tap water and everything that is prepared with it, including coffee, tea, and other beverages and foods. Chlorinated water can also make hair and skin feel dry after bathing or showering. The good news is that all of these nuisances can be easily addressed with the right water filtration unit. To learn more, you can contact a local authorized RainSoft dealer to schedule a complimentary, in-home water test and inquire about a water filtration unit for your home. Since 1953, RainSoft has been trusted by customers around the globe to deliver “The World’s Finest Water Treatment” backed by outstanding customer service.